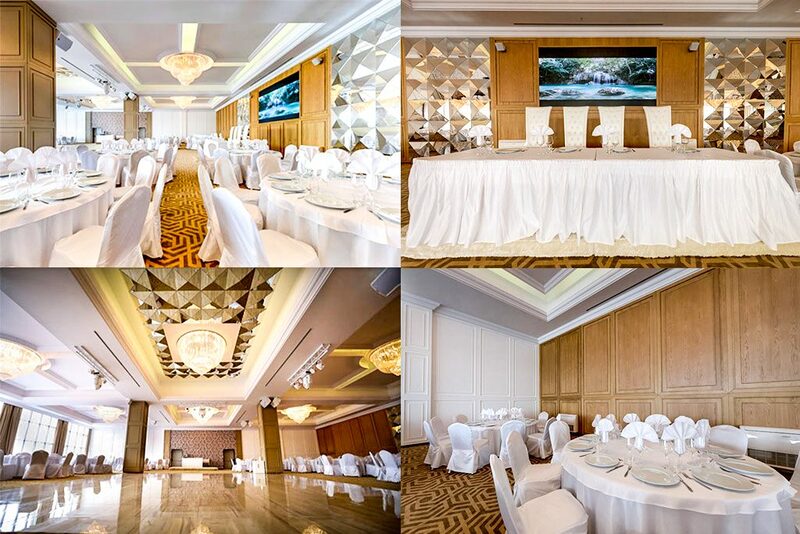 If you are planning a large-scale event and want it to be really impressive, welcome to our large hall – “Glavatarski Han”. With a capacity of up to 700 people, it is the largest conference hall not only in hotel complex “Glavatarski Han”, but also in the district of Kardzhali. The hall is multifunctional. it is equipped with modern audio-visual equipment and offers a wide range of options to organize any kind of business events - workshop, training, press conference, presentation, business meeting, cocktail, team building, forum, discussion, congress. The multifunctional hall allows for holding events with a large number of participants and is a common venue for holding weddings, celebrations and company parties. We offer a wide assortment of wedding menus, whereas the tasting of the selected option is a compliment from us. We can also prepare special menus to meet your specific taste and requirements. We shall take care of every detail and shall assist you organizing anything you might need - decoration, wedding cake, flowers, photo / video operator, and DJ. Hall features / technical equipment: Maximum capacity for conferences, seminars, presentations – 700 seats · Maximum capacity for weddings, cocktails, business meetings, company parties - 650 seats · ventilation and air conditioning · daylight and artificial lighting · special lighting for weddings and parties · 3.84 x 1.92 m LED screen with 960 x 480 resolution · Wi-Fi · multimedia projector* · fixed screens* · flip chart / white board* · LCD TV* · DVD player* · laptop* · sound system / microphones* *on-demand services Do not hesitate to contact us for more information and details.